Satellite Broadband is a satellite data service that delivers high-speed two way data anywhere in Indonesia. 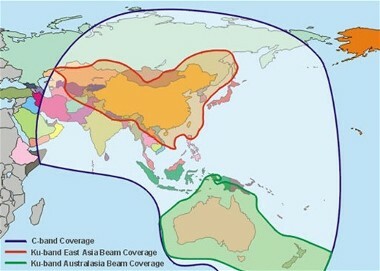 It has been made possible by strategic alliance with their satellite partner, Asiasat. Satellite Broadband enhances the delivery of the "satellite data pipe" with sophisticated "edge computing" services. These include Internet connectivity and services, high speed Internet, voice, video conference, private corporate network, video streaming services or net TV services. There is no need to buy services from a separate ISP. The latest technology provides true both-way service (up to 1.1 Mbps in both directions and up to 60 Mbps download) without the distance and cost limitations of cable of fibre. Isolated business communities in remote regions can now enjoy the same levels of Internet Access (at typical ISDN and ADSL speeds) very cost effectively. The monthly rental fee and data usage fee is fixed, irrespective of the business community's location. Broadband Internet services are "always on" giving immediate corporate network and internet connectivity. There are no delays waiting to 'dial-up'. Existing phone lines are not congested by long held Internet calls and are freed-up and available for normal business. Local presence is provided in a regional community by a local distributor. The local Distributor providers local or first level sales and support. Available virtually anywhere in Indonesia. There are no distance limitations or distance based charging. No limits imposed by cable of fibre. A "stand-alone" dish can be provided virtually anywhere that has mains power. The cable-free network model delivers connections without the cost and delays associated with fixed underground infrastructure. Service can be quickly activated as there is no need to wait for land-based infrastructure to be built. Generally, new sites can be established in a single day. Unlike many other satellite services amc Broadband Internet can provide high-speed data in both directions simultaneously. Maximum download speed is 60 Mbps. In addition to benefit of being able to rapidly distribute large file (a whole 100Mb file can be sent to multiple sites in 3-4 minutes) the Broadband Internet service can send files from the remote location back to head office at the same speed. The two-way high speed data provides, high quality video conferencing. This can significantly cut travel cost for regional businesses. Video on demand and video streaming can be provided quickly and easily. The native Internet Protocol (IP) provides seamless connection of corporate LAN, Intranets and private Networks. The availability to securely share information with customers, supplier and within an organisation delivers the productivity gains usually only available in the city. Pages on this satsig.net web site are Copyright Satellite Signals Limited © 2005 all rights reserved.